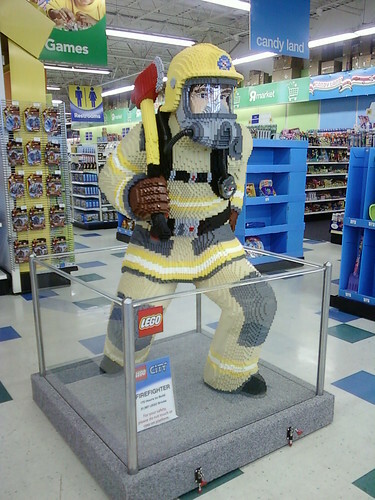 I was at Toys R Us last night and I saw this. I almost thought about getting it, but the pricey price tag (is that a thing? :D) at $40 USD put me off buying it — that,and my earlier purchase at the LEGO store. Its cute and the minifig clown pen, if totally impractical, is pretty cute. Update:I’ve now learned the label was wrong. If I’d bothered to look at my own picture, I would have noticed sooner. The price is actually $12. I don’t know if I like the minifig pens or not. If you haven’t seen them you pull the head off and the pen is in the middle of the body. I have a Ninjago one that I still haven’t decided if I want to use it or not. I like all these new forays into the stationary accessories, and if was a kid going to school I would have loved to have them to use. My only complaint is the quality of the accesories. The notebooks and journals are okay, but the markers and erasers are lousy. I guess a kid wouldn’t care or notice, but when I write or draw I like to have good quality pens, pencils and erasers. I suppose most themed pens, pencils, etc. that are made for kids are not made for quality, just advertising, but even so it is something to note. So, if you want them for their collectiblity factor or to accessorize your child in proper LEGO writting impliments than go right ahead. But at that price, I’d prefer something that works better. Series 7 — They’re Here! And once again the search begins! Series 7 of the Collectible Minifigures has started appearing in stores. Although the LEGO Store Catalog claims they will be available in May, they are already showing up in Toys R Us, Fred Meyer, and other retailers around the US. I certainly am excited about practically the entire line! And I am seriously tempted to get a whole box of this one. Sadly I don’t have any of Series 7 yet, but I assure you I will. I’m still not sure what to think of this. 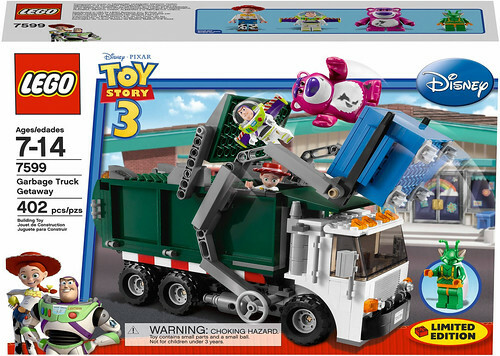 At $9.99 its not too expensive and it is available at Toy R US and other retailers. Create a scene and start a conversation between your LEGO MiniFigures with the LEGO MiniFigure Speech Bubbles. Each set includes 24 Speech Bubbles that can be connected to your MiniFigures to make it look like they are talking. Attach the stickers with pre-printed sayings or use the included stencil to make your own messages. 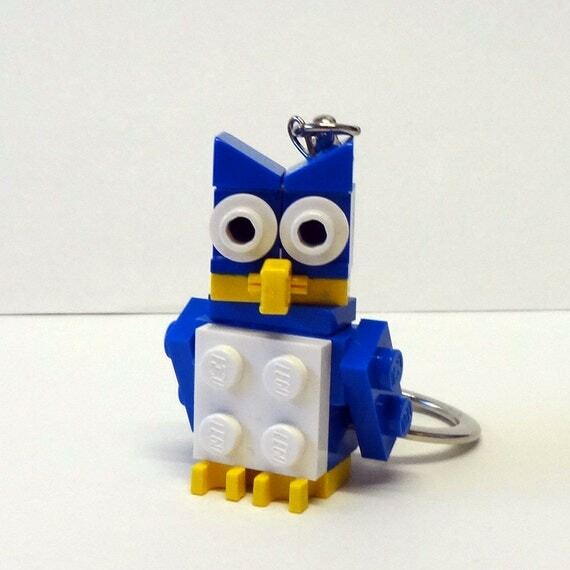 Comes with one Lego MiniFigure to add to your collection! To me it would have been better if they had all been clear and not in red, yellow or blue. I can see uses of it in creating a comic, but you could easily do that on Photoshop. But we will see. Who knows, it may be the next big thing. Pharaoh’s Quest sets already here! 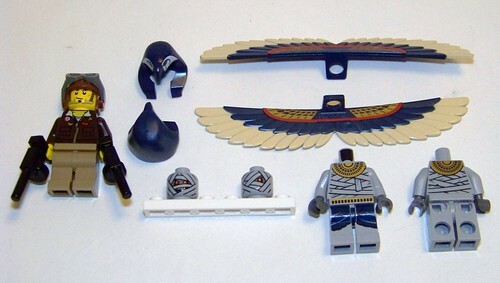 Although it is no where near January, Pharaoh’s Quest along with other 2011 sets are already starting to show up at stores. 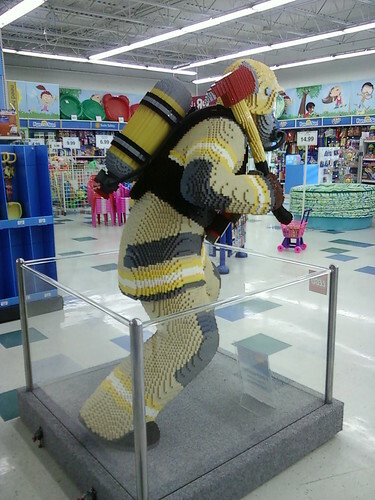 The above set was found at a LEGO store. I have yet to jump on the Wii bandwagon but this might just bring me on board. 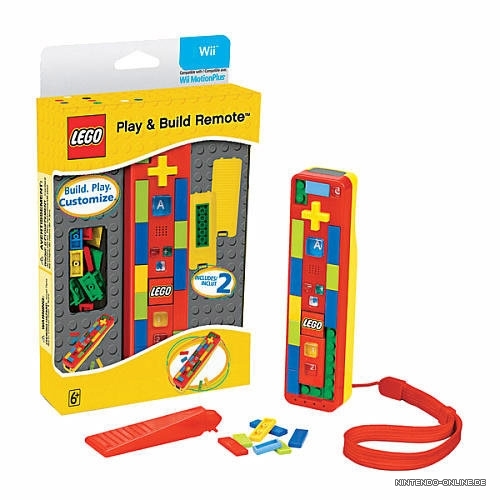 This fully functional Wii-mote is officially licensed by Nintendo and features not only the iconically bright Lego colors, but also 37 interchangeable Lego mini-tiles to accent the controller. It is set to be available at least in the US on October 16th for $40. I don’t know if this will be a US only product or not. It looks pretty cool, but like the LEGO Star Wars and Indiana Jones DS Lite cases from last year, I don’t know how well this will sell. I did end up getting all three of the DS cases, but I only paid full price for one of them. Toys R Us put them on clearance in August and you still might be able to find them at your local TRU. I only picked up all three for the printed tiles, as I have a DS, but not a DS lite. I’ve since then traded or given away the cases and kept the tiles for myself. While Europe has had the new Collectible Minifigures for a while now, they are slowly starting to trickle over on this side of the pond. There has been only one confirmed sighting that I know of so far, at least among my friends. Tony Sava down in Texas found them at his local Toys “R” Us. I imagine that if it is a one TRU, than it will be at many soon. Like Series 1, this is a small production run. So if you see them, get them, as they will most likely disappear just as fast or faster than the previous set. I don’t know what will be the “hot” figures from this set. There definitely seems to be more winners than losers in this one. There are so many fun new elements, my favorite being the tiny Minifig trophy the karate master has. There is a very nicely done review of all the figures on Eurobricks and Tony was nice enough to compile a barcode sheet for the US. What’s even more exciting is that Steve Witt confirmed LEGO already has up through Series 5 designed and that they will keep making them as long as they are popular. 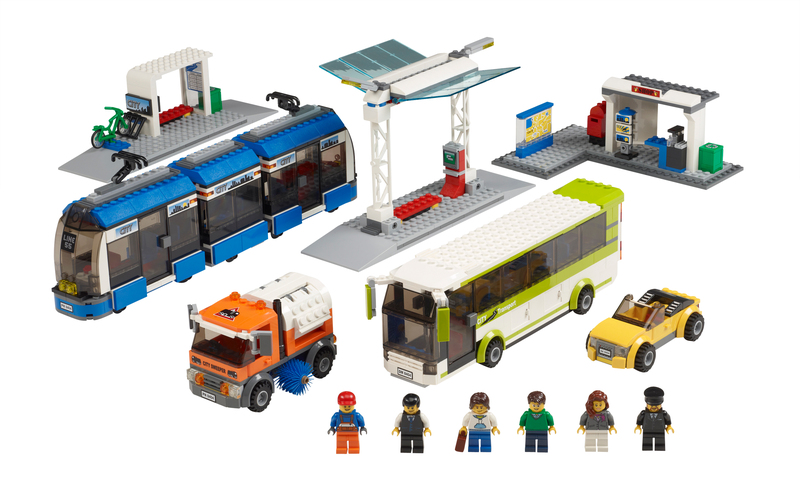 We are starting to see images of a couple new LEGO City sets that will be released later this year. No word on when they will be released or how much they will be so stay tuned. Jonathan was nice enough to send me a copy of the book and I received it a few days before the official release date. For me reading this book was very different than it would be for someone not already inducted into the world of LEGO fans. 90% of the people he mentions are friends, former coworkers and colleagues of mine. Reading this book was like peaking over Jonathan’s shoulder over the year or so that he spent researching the LEGO conventions, LEGO company, and the AFOL (Adult Fan of LEGO) community as he went from a relative newbie to hobnobbing with Master Model Builders. 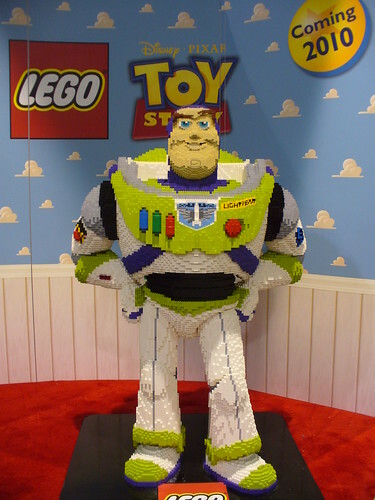 And seeing the LEGO world through his eyes was interesting. Even with all my knowledge (some have called it encyclopedic) of LEGO, both the product and the company, I learned quite a lot I didn’t know. Of course I never really did “research” on LEGO per se, I’ve just acquired it over time. Of the various travels and meetings Jonathan went on the only thing I haven’t done yet is travel to Denmark itself. That is still an as yet unfulfilled dream of mine. New toy alien minifig, “dirty” Buzz, purple bear, and Jessie. Not to mention the garbage truck itself. The design is excellent and all those fun dark green elements make it that much more cool.